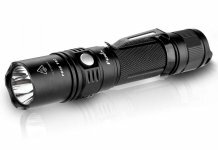 With many options and varieties of flashlights available in the market, choosing the best can take a bit of thought. 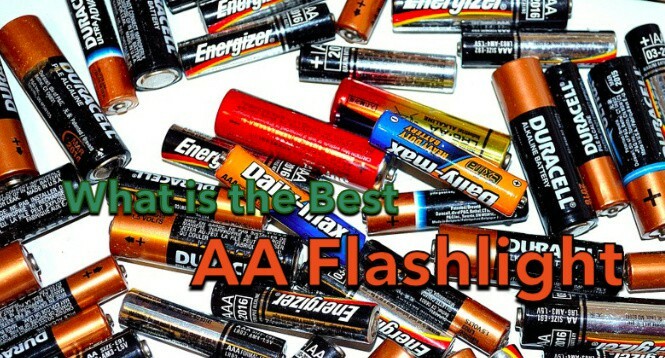 The most common and popular flashlights are the AAA flashlights which use removable AAA batteries as the power source. The best AAA flashlight is lightweight and easy to carry while they perform brilliantly when it comes to lighting. Also, AAA battery size is readily available and very easy to find. You also have the option of using rechargeable batteries if your conditions demand. 3 What should you know about the best AAA flashlights? After thorough research and review of all the different models of AAA flashlights, we have curated this review of best AAA flashlights. Hopefully, after reading our review, you will be able to make an informed decision before you buy one of these devices. 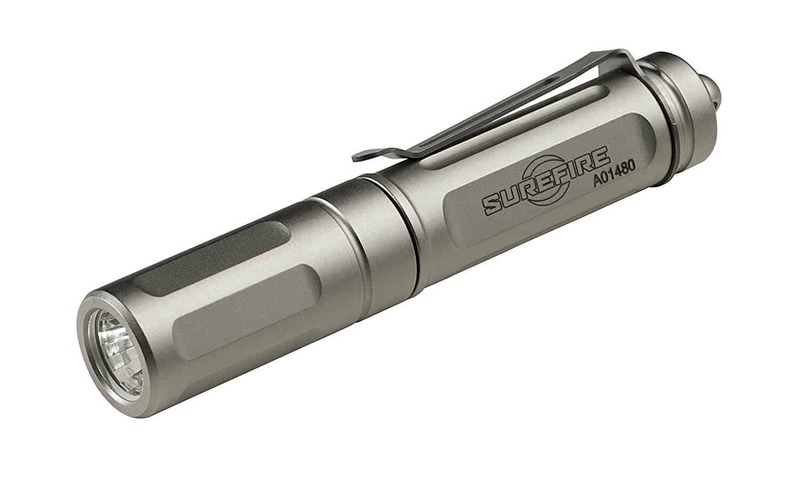 SureFire is a well-known brand name when it comes to everyday carry lights. 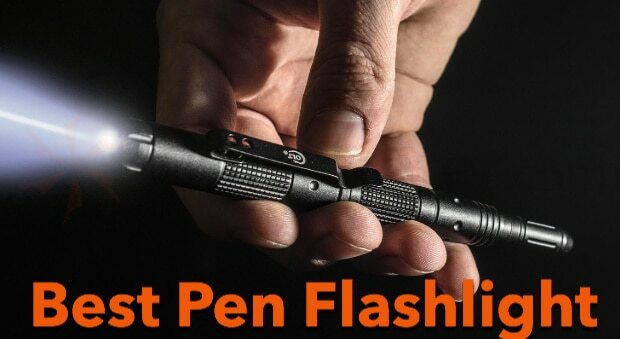 As a renowned brand, it has released a few top-notch flashlights, and Titan Plus is one of them. SureFire Titan Plus is an enhanced model, a bit different than its preceding SureFire Titan T1. With improvements from the previous model, it is one of the best AAA flashlights that you can buy in the market. SureFre Titan Plus Ultra-Compact is ranked as an expensive flashlight, but the price is totally worth it given its sleek design and power. 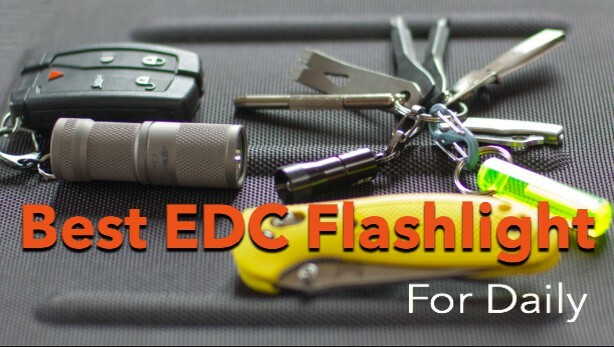 One may even take it as a gold standard for flashlights. As a company that produces lights and lighting accessories for special operations, this is by far the best AAA flashlight. The build of this flashlight is robust- it is compactly designed as if it was meant to be used in a war-zone. With its solid performance and excellent lighting feature, this flashlight will be your companion on many occasions. Talking about lighting power, SureFire Titan Plus offers as much as 300 lumens. What makes it even better is that it provides three different lighting levels. Switching to these different lighting levels is very easy- you just need to twist the bezel to scroll through the light levels. The manufacturers have done an awesome job of designing a proprietary reflector in this light. This reflector makes use of the minute diameter of the LED and reflects it into a very focused as well as a wide beam. This makes navigating through the dark much easier. Additionally, this light has detailed features like included rechargeable battery and removable pocket clip. It is powered by a single AAA battery and you have the option to choose between rechargeable or disposable battery based on your convenience. If you are need of an everyday carry flashlight but a little tight on budget, then Coast G19 LED Inspection Flashlight is the one for you. With this light on your owned list, you will not have to bother about investing too much. Even though this AAA flashlight is much cheaper than its counterparts, it will get the job done. Its functionality easily matches those that cost 10 times its price. At a price you’d pay for a modest dinner, you’ll have this lighting companion! Coast G19 is a white light LED and it uses a single AAA battery. It offers a light of 54 lumens which is ample for viewing objects as far as 50 yards. As this is a penlight, it is small enough to easily fit into your pocket or purse. For instances when you need to hold the light for a longer period of time, there is a longer version of this light. Build with high strength aluminum, this AAA flashlight is the best budget buy. It has an O-ring sealed design and it is waterproof and shock resistance which makes it extremely durable. This light is the type of light you’d use to look for your lost keys or to find out the wall switches in a strange place. Coast G9 offers a slim pocket clip and an easy to use the button. The designers have built Inspection Beam Optics to offer a perfectly circular beam which gives off a steady low glare to facilitate close up work. When we researched its reviews, we found that it was extremely popular online and it is highly rated. With easy-going knurling and its cheap price, no wonder people love it. What’s even more striking is that this flashlight is a professional design. It is only four inches long, and the manufacturers have offered a lifetime warranty on this product. 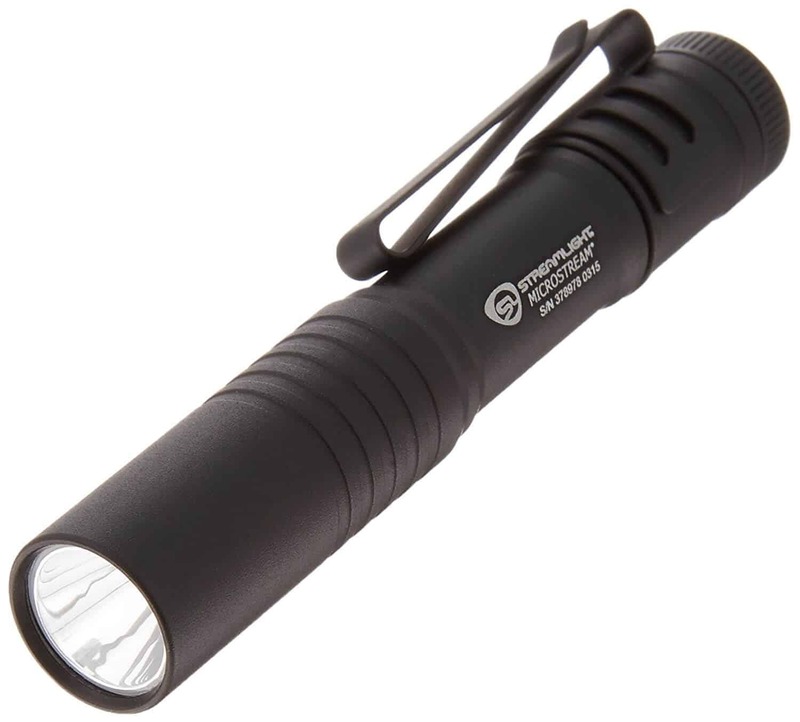 As a small, lightweight and multipurpose functionality, this is deemed as the Best Budget AAA flashlight in the market. The 2-inch length and 2-ounce weight. When it comes to lighting instruments, Streamlight is a well-established name. It has made advances in LED technology by introducing inexpensive and high-performance flashlights. 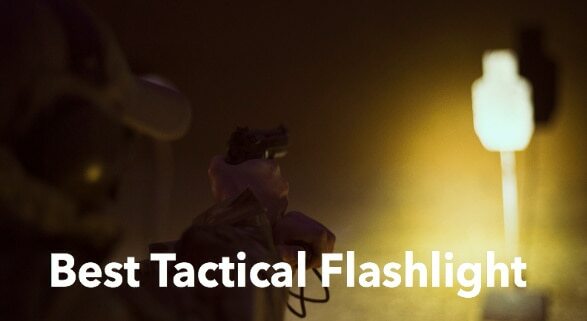 Be it little penlights or military combat lights, Streamlight has mastered the art of lighting. Streamlight 66318 MicroStream C4 LED Pen Flashlight is an AAA flashlight that is designed as a small portable light. This user-friendly light has much longer battery life than other single models in the market. This AAA flashlight is proof that for a flashlight to offer great functionality and power, a flashlight need not be big and bulky. A long and stable beam can be produced by a flashlight of size this small. This is well proven by Streamlight MicroStream. With the length of just 3.5 inches, this compact and sturdy flashlight offers astonishingly brilliant battery life. It can continuously run for 3000 hours. Such efficient energy use definitely makes it the best AAA flashlight out there in the stores. 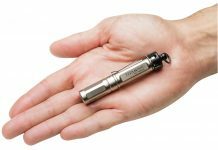 Unlike most other flashlights that are built to work with only one or two batteries, Streamlight MicroStream has walked an extra mile to make a fully optimized energy usage. With just one single AAA battery, this light uses C4 LED technology that helps enhance light output and runtime. Additionally, a micro-optical system helps to improve the performance of this flashlight by producing a super bright light powered with ½ watt that can stretch up to 52 meters and the continuous runtime of 2 and a half hours. This flashlight is engineered to survive a longer life. Its body is durable and corrosion resistant owing to its specially designed aluminum alloy case. The O-ring sealed and scratch resistant and unbreakable. When tested, it showcased 1-meter impact resistance. With silky, smooth aluminum anodizing, Streamlight Microstream is an esteemed flashlight. Everything from the light power, quality, ease of operation and battery life is of high-range, and for everyday purposes, this is one of the best AAA flashlights for sure. 28 Lumens and 683-candela intensity. 2 and a half hours of runtime with up to 30,000 lifetime hours. 5 inches long, a diameter of 0.6 inches, and weighs 1.04 ounces. The tailcap switch allows easy operation with a single hand. With lighting functions available on almost every smartphone, you might be wondering why would one need an AAA flashlight. However, a dedicated AAA flashlight is usable in many instances- from general purpose work to inspection and emergency lighting. Also, some models and brands offer additional features that can address any specific needs you might have, without bothering to drain your phone’s charge level! AAA flashlights are in the sweet-spot of size, functionality, and convenience. As a minimalistic and lightweight EDC, it will serve you with compact styles that are easy to carry around and use. AAA flashlights simply outdo AA lights and Keychain flashlights in performance. Among other many reasons to choose AAA flashlights, the most convincing is that AAA batteries are much easier to find and use. They are available in both rechargeable and disposable options, and you won’t have to worry much about finding these batteries. Different companies have come up with various flashlight designs targeting different user groups in the market and they have their own functions and features. However, there are some basic features that we need to be familiar with before deciding which AAA flashlight to buy. What should you know about the best AAA flashlights? When it comes to choosing the best AAA flashlight, you need to keep in mind that the one that best fits your needs and usability is the one you should go for. Though different brands have their own specs and designs, there are few things that you need to learn before you invest your money. The lighting capacity of flashlights is largely dependent on the type of bulb used in it. While the older generations of flashlights used incandescent bulbs, they have upgraded to LED lights nowadays. 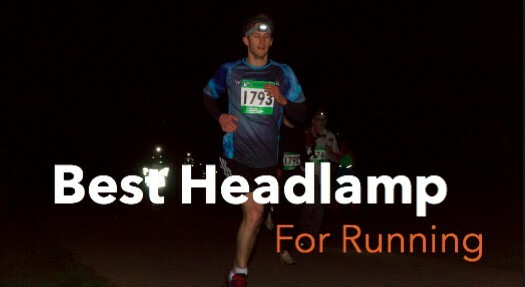 LED allows the flashlight to produce a beam of higher intensity over a longer distance and longer time. For general purpose lighting, you should opt for a flashlight that gives at least 25 lumens light. Beam distance determines the coverage area of your flashlight. Most flashlights are built to cover a beam distance of 100 meters, and you should choose the best one that fits you. Mainly, the major flashlights available in the market have two types of the beam: ‘spot’ beams and ‘flood’ beams. Spot beams light a narrow region while flood beams light a much wider area. Spot beams travel a greater distance than flash beams do, and your choice should be dependent on your need. The best AAA flashlights will let you choose between these two beam types. Although all flashlights in AAA category use removable AAA flashlights, you need to pay attention to the battery ratings. Some flashlights offer battery models that are exceptionally well for short -term, high-functioning light but don’t offer long-term performance. Ideally, AAA flashlights would have to perform at least 2-3 hours continuously. As flashlights are devices that are used in all type of weather conditions, they need to be waterproof. This feature is a factor of Ingress Protection that the device offers. For a flashlight to be usable upon exposure to water, the IPX rating needs to be higher than 4. Obviously, this is one of the most important features when it comes to AAA flashlights. Depending upon whether you need a flashlight for more frequent carrying around or not, you should choose a size that balances ease of carrying with power. Without batteries, AAA flashlights are nothing. Since the number of batteries a flashlight uses determines the power of the device, any flashlight that uses more than two batteries will offer more power. Also. since a number of batteries also determine the weight of your device, you need to be thoughtful before deciding which one to buy. The best way to ensure you never run out of power even if you use a flashlight with a lower number of batteries is stocking. How a flashlight is made determines how long it will last. A flashlight with metal housing and that is protected against scratch would suffice your needs, but keep in mind that this will add a bit of weight to it. Whenever deciding which flashlight model to choose, you need to choose a model that offers various lighting modes. A flashlight with different modes of lighting will be more flexible in terms of functionality as it will let you choose the light depending on your need. As a multipurpose device, a flashlight can be used as a means to get through our daily needs like walking the dog or searching for lost stuff. Whatever the purpose might be, the best AAA flashlight is the one that is easy to operate, lasts longer and produces the right quantity of light. There are thousands of models of AAA flashlights to choose from, and the best one for you would be the one that meets all your operational needs and is affordable. There’s no point of buying a flashlight if you’re going to leave it alone in your desk. You should go for a model that you feel like carrying around with you so that in instant needs you can make the best use of it. AAA flashlights need to be easy to carry, affordable and exceptionally handy. The above review will give you a good insight on what model will best fit you, and we hope that now you can make a choice best for you.